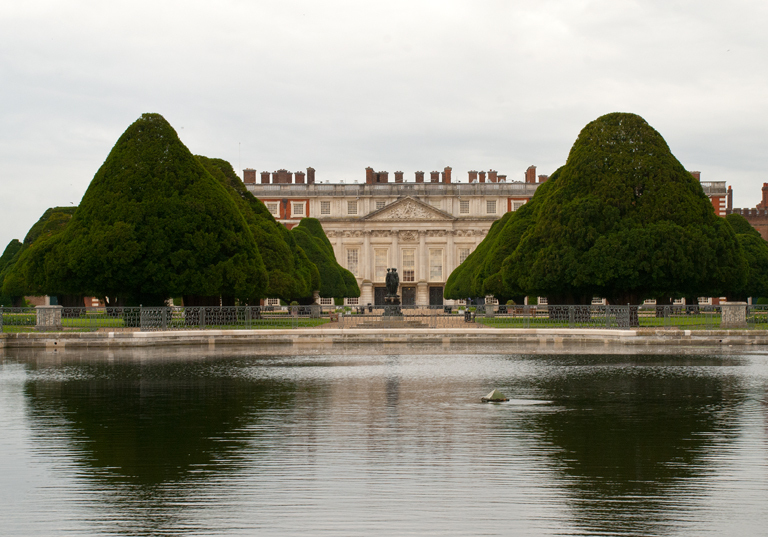 Last week was the Hampton Court Palace Flower Show. Although I’m a bit behind with blogging about it, I still wanted to share my thoughts and pictures. I was lucky enough to be there on Press Day so taking photographs was much easier despite the dreary weather! 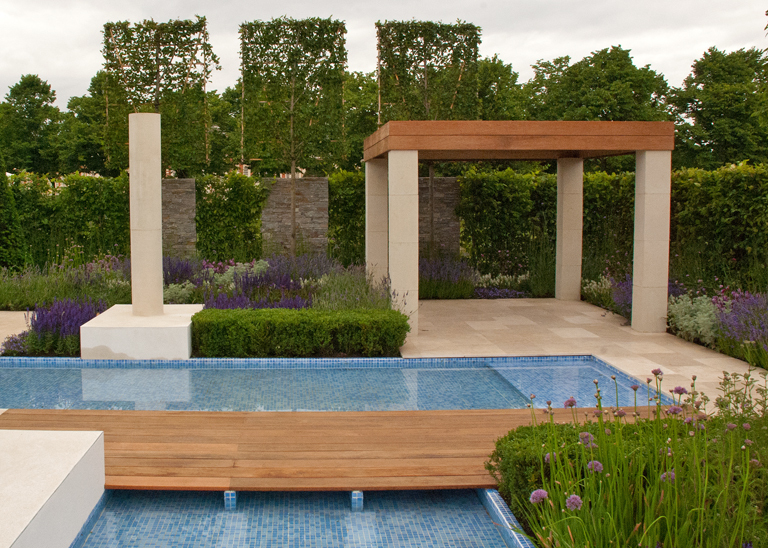 There were five show garden categories at this year’s show but today I am going to share my pick of the main show gardens. 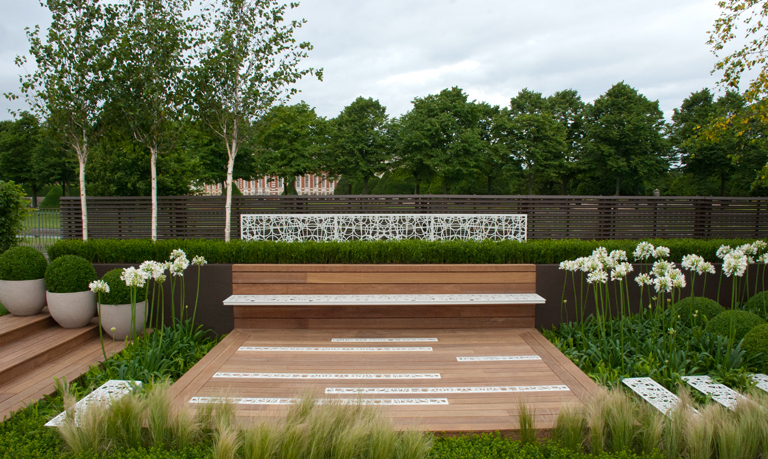 This garden was designed by Anoushka Feiler and sponsored by Astellas Pharma Ltd. It won a Gold medal and Best In Show and was one of my favourite show gardens. The bridge symbolises relief and freedom through the help that is available to manage the symptons of an Overactive Bladder (OAB). 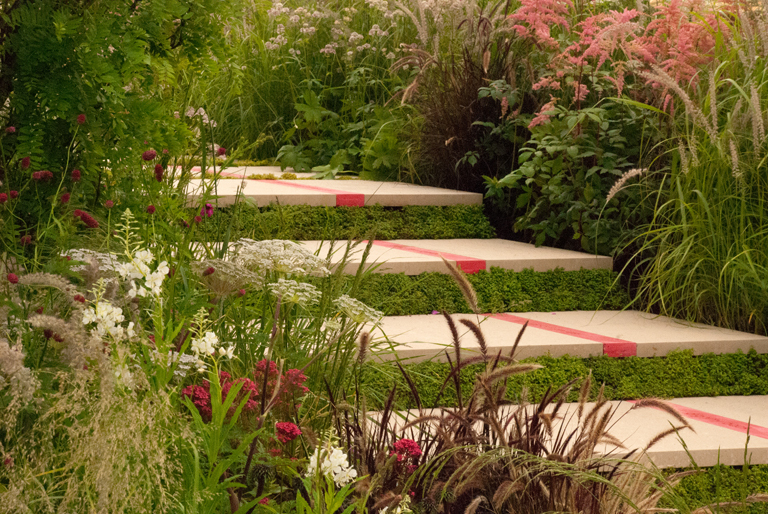 I loved the colour scheme and naturalistic feel of the planting. For me this garden had the most balance. 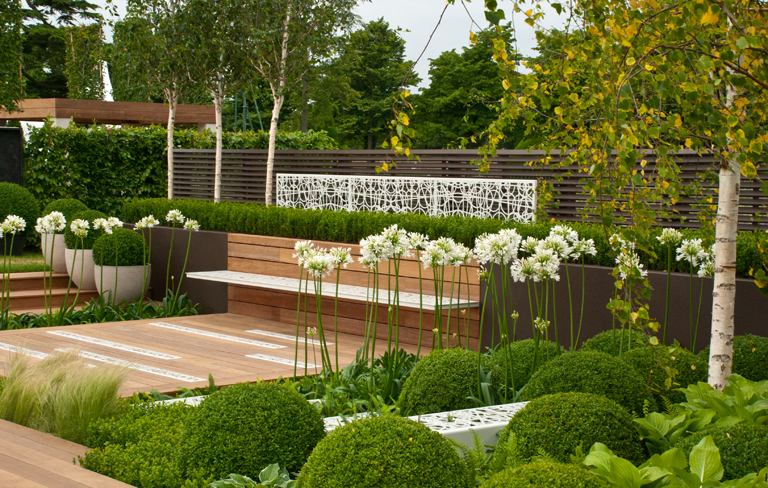 It was contemporary but calm at the same time and I loved the rythmn that the box balls created through the garden. Timber always brings warmth to a garden and the stipa tenuissima (Feather Grass) at the front of the garden helped to soften the edges. 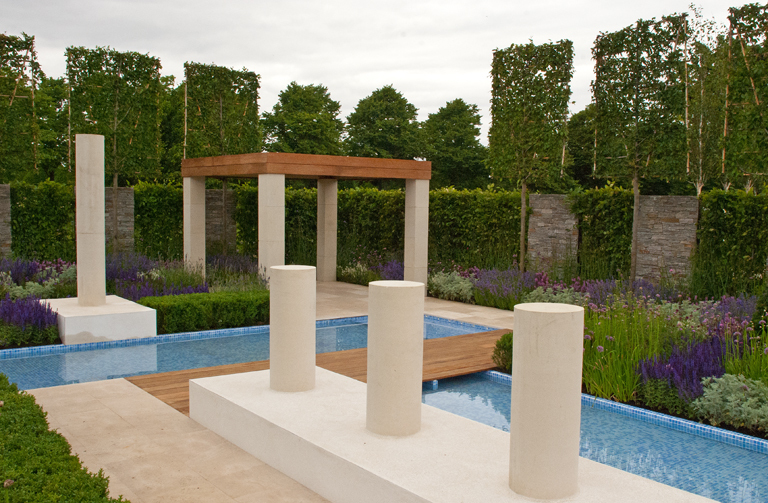 This garden was designed by OneAbode Ltd and was sponsored by them along with Morgan & Neal Ltd who built the garden. It was awarded a Gold medal. 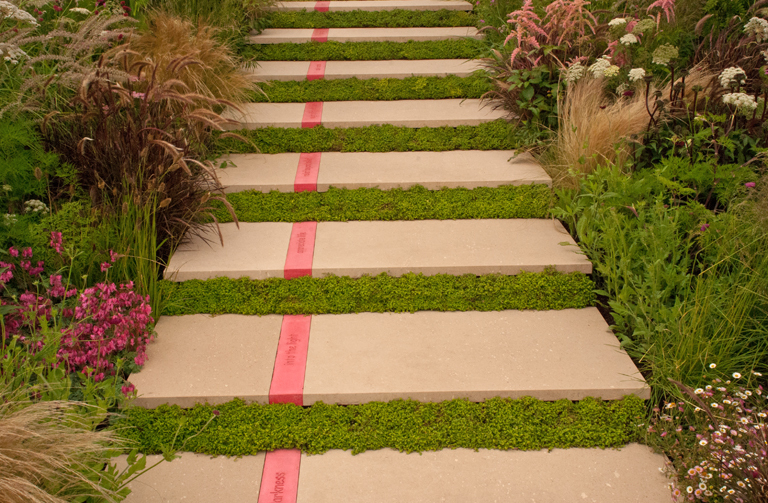 I particularly liked the planting betwee the floating metal steps – it’s this sort of thing that I find inspiring about the flower shows – new ideas that you can take and apply to your own work. 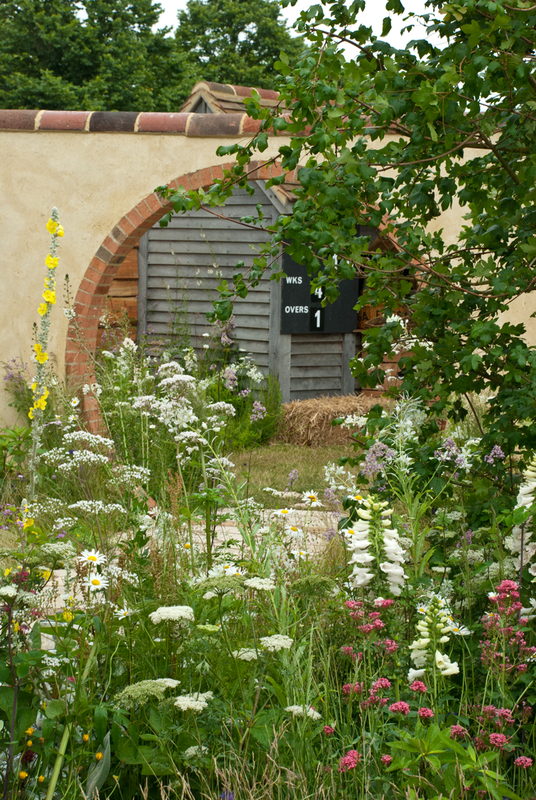 This was a fabulous naturalistic garden that represented the Dorset countryside and there was a chance to sample some of the locally brewed ales that Badger produce. 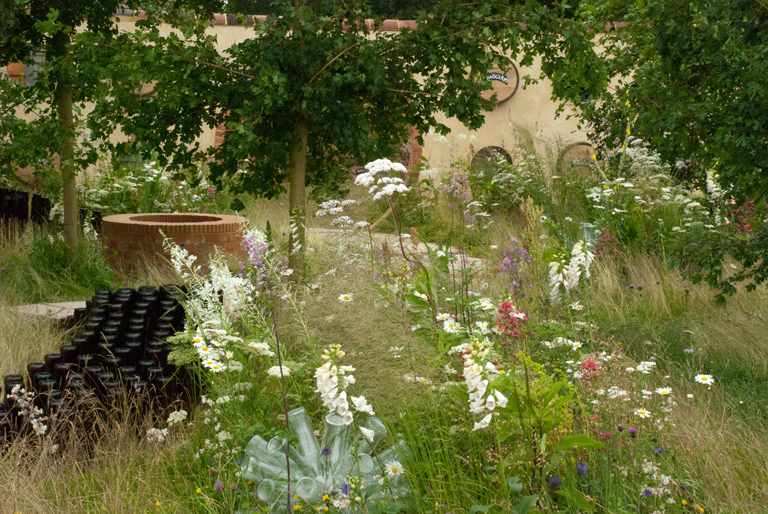 The garden was designed by Flemons Warland Design and sponsored of course by Badger Beers. It was awarded a Silver Gilt medal. 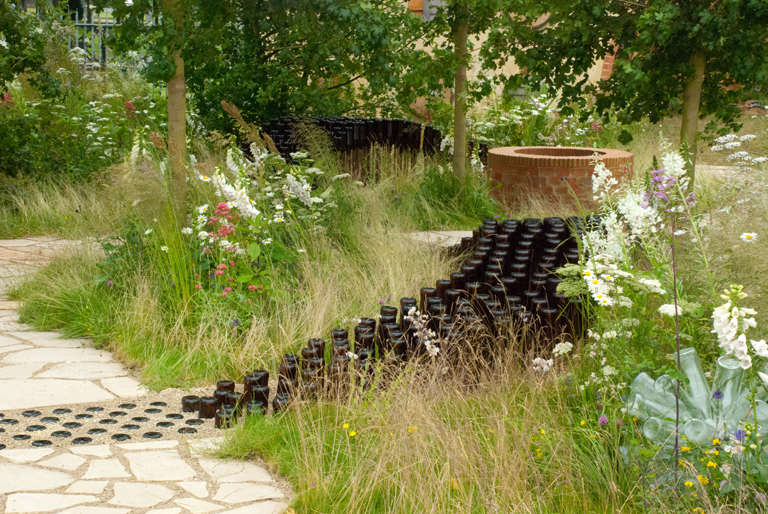 I really liked the way the bottles had been used to create another dimension to the garden and I think you recreate a similar effect by using other materials. It was possible to walk through this garden too so all visitors to the show could experience the garden from a different point of view. Another really well structured garden with strong geometric design. Designed by Jack Dunckley for Birchfield Nursery it represents a calm and tranquil space for relaxation and contemplation. It was awarded a Silver Gilt medal. 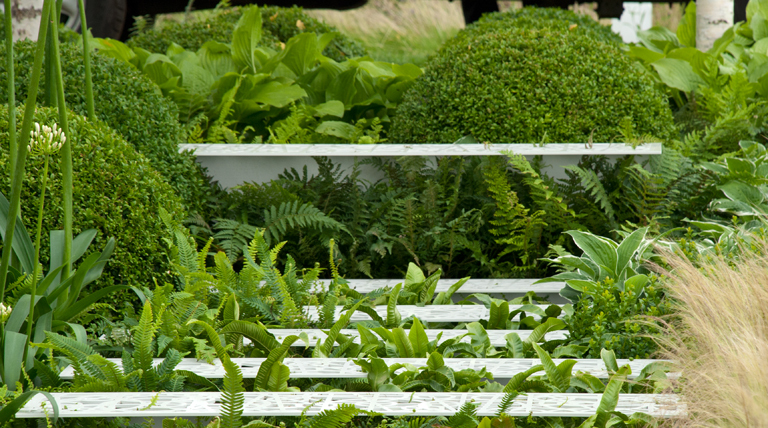 Although the planting style was a bit too formally placed for my personal tastes, there were elements of this garden that I really loved. 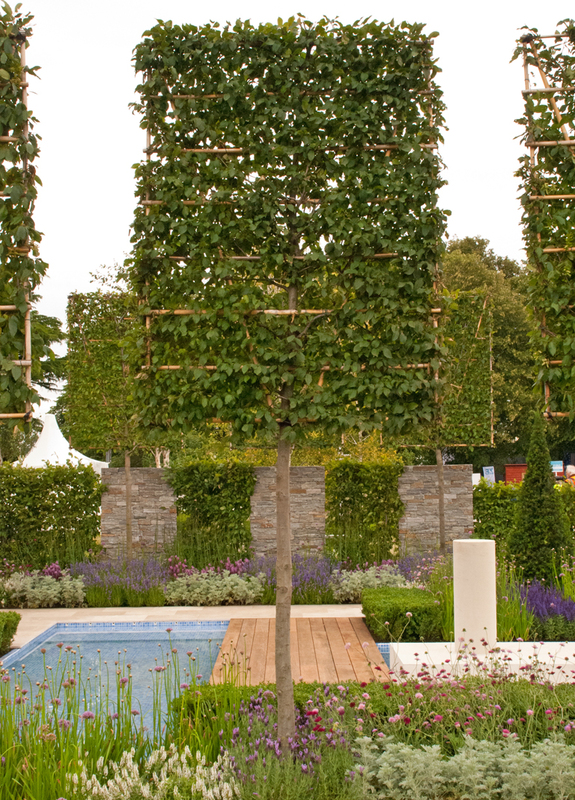 The natural stone walls position to break up the hedges were gorgeous and perfectly balanced with the pleached trees. My favourite view was from the side with the wall and hedges as the backdrop. 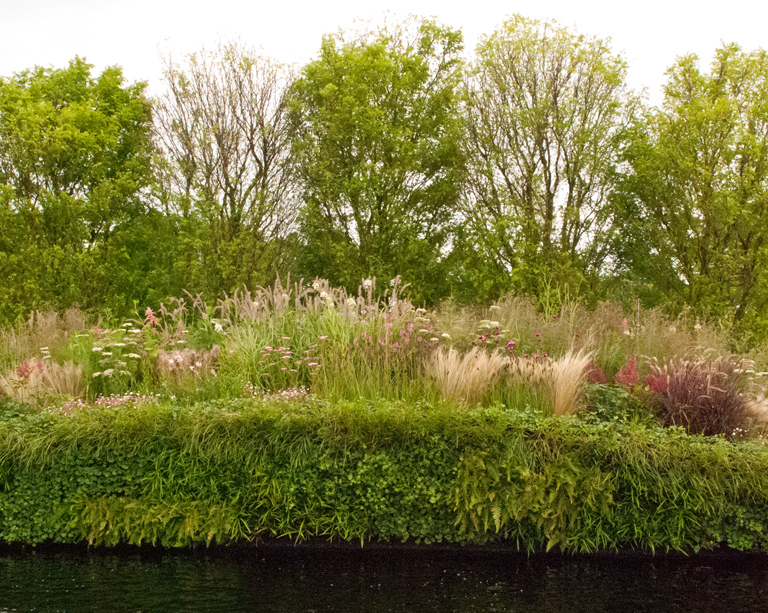 Later this week I’ll share my pick of the other show gardens. If you managed to visit the show this year, what were your favourites?